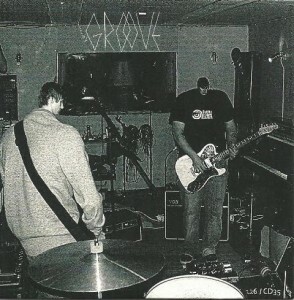 The kiosk version of Groove comes always with a CD promoting the cover boys & girls of the magazine and their upcoming or recent releases. The labels in the autumn issue of 2010 are mostly the usual suspects like Kompakt, Border Community, Dial, Ovum, etc. No mind blowing tracks here but some pretty good finds along the music I have heard thousands of times. The start is brilliant: Cologne’s big band Cologne Tape is featured with the opener of their excellent single “Render“. Good one also from the French Circus Company – dOP comes with a funky orchestra-sounding arrangement along androgynous vocals between Seth Troxler and Nina Simone. Oliver Ho, a man with repetitive techno past, has produced under Raudive moniker a track that initially sounds like a thin percussive and softly-grooving minimal piece for relaxing moments, but then piano-assisted pumping takes control. John Roberts and his creaky “Porcelain” represents the next wave of minimal producers with altering rhythms and creative sound processing. Gonzales plays piano and synths for burlesques at autumn fairs to give a good surprise for the end. The rest is quite commonplace fare: Superpitcher and electrofied pop house (again), CPU and dubstep-backed plus vocoded exercise, Luke Abbott and stretched indie-sounding computer music. “No Way” is a chord play from Shed‘s new album that has been immensely hyped but not impressive. Other tracks are by Rekids artist Mr G, messaging darkness is calling me, and Shlomi Aber, Ukrainian Vakula and Tensnake in more or less housey interpretations. Pop coalition is represented by Bon Homme from Denmark with vocals reminding of Laid Back and paying a soft and poppy tribute to “Ray Ban”. Real Player people can listen audio clips here.